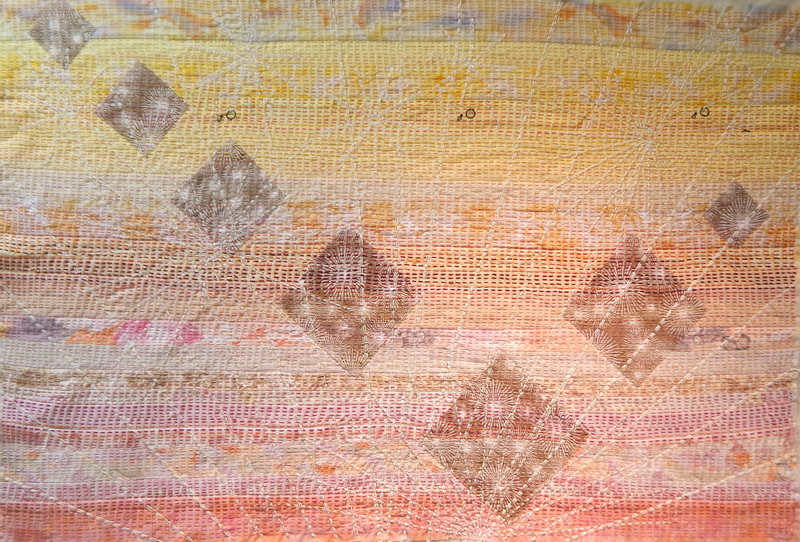 I finished the stitching on this piece, inspired by the verse “every good thing given comes down to us from God our Father who created all the lights in the heavens.” I truly enjoyed every stitch. 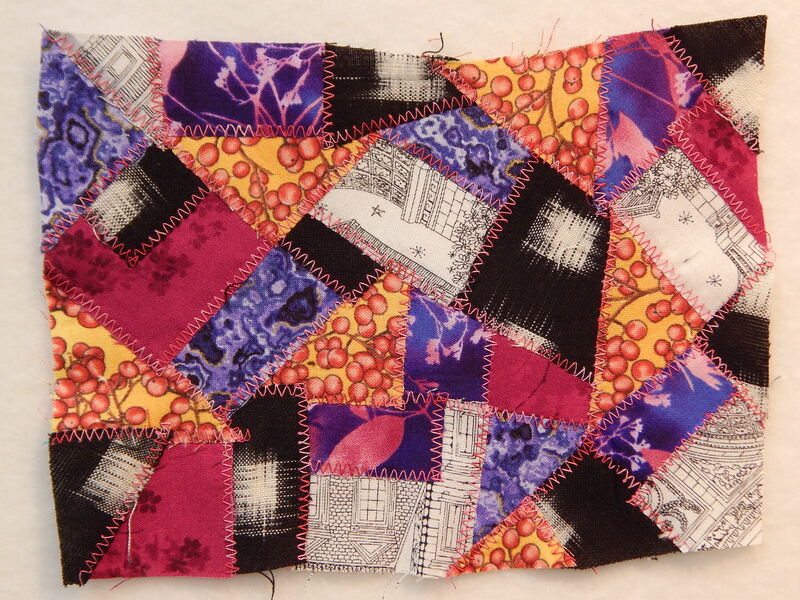 And in between, I continued to work on machine quilting P.I.N.K. I decided I could do each block differently. It keeps it from being boring. Only 6 more blocks to go! Most of my time was spent making all of these blocks. 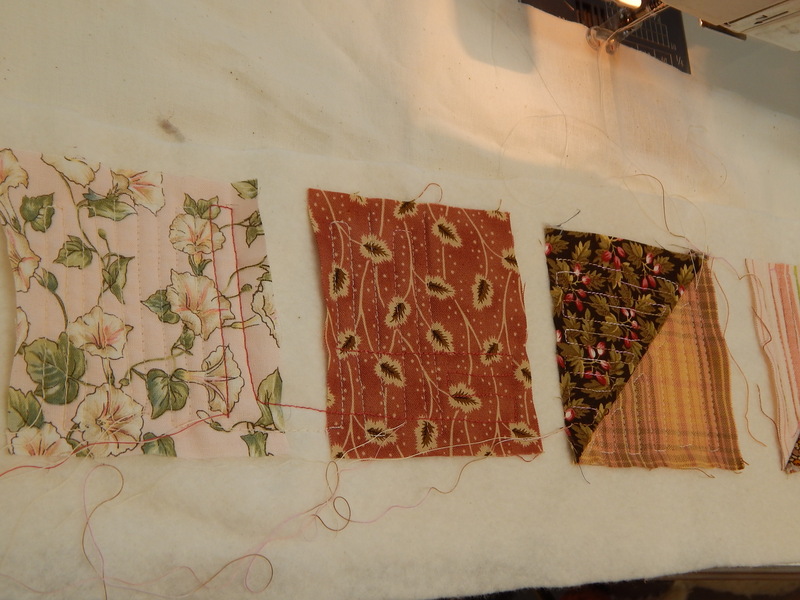 I used up just about all of my Cherrywood fabrics, so that is as big as I can make it. I picked out a background color, and I am now just thinking about how I want to put all these different sized blocks together, and how much or how little background I want to have showing. 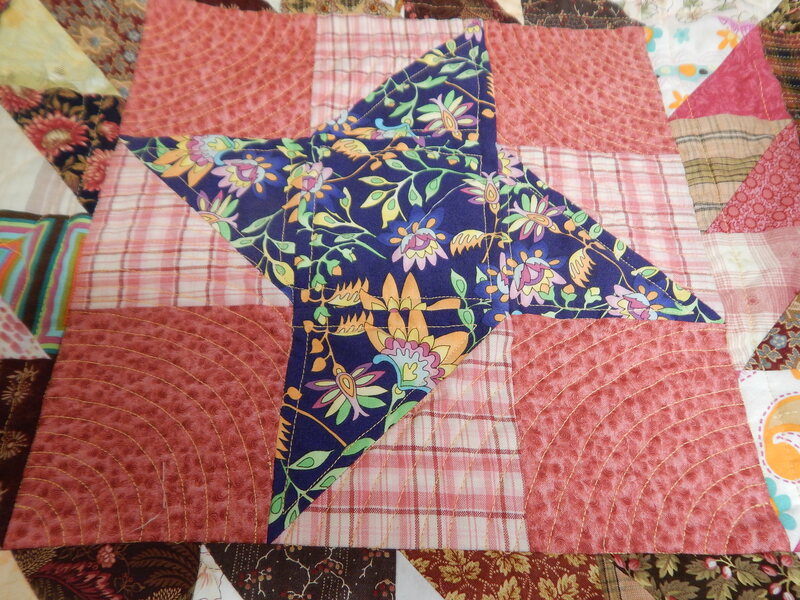 And I just finished putting a sleeve on the back of this quilt. I got a call last week from a lady who had seen my exhibit at the Oak Hills Church. She was interested in having me make a quilt for them to use when they have a worship service at the nursing home they visit each Sunday. I offered to let her borrow a quilt indefinitely, and they chose this one. 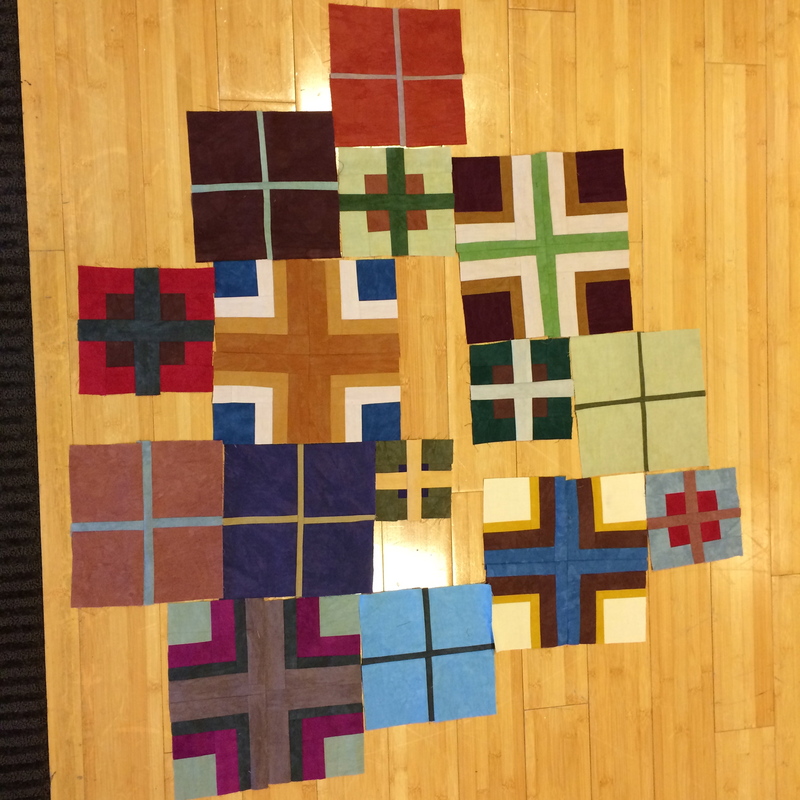 I am always happy to share my quilts and have them seen by others. 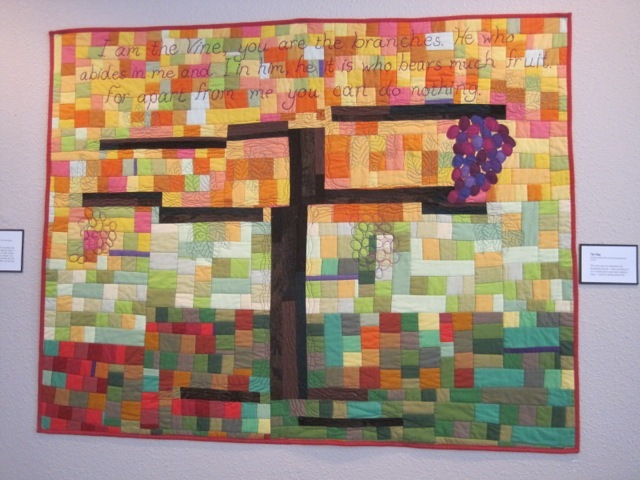 If your group or church is interested in displaying some of my quilts, please contact me. 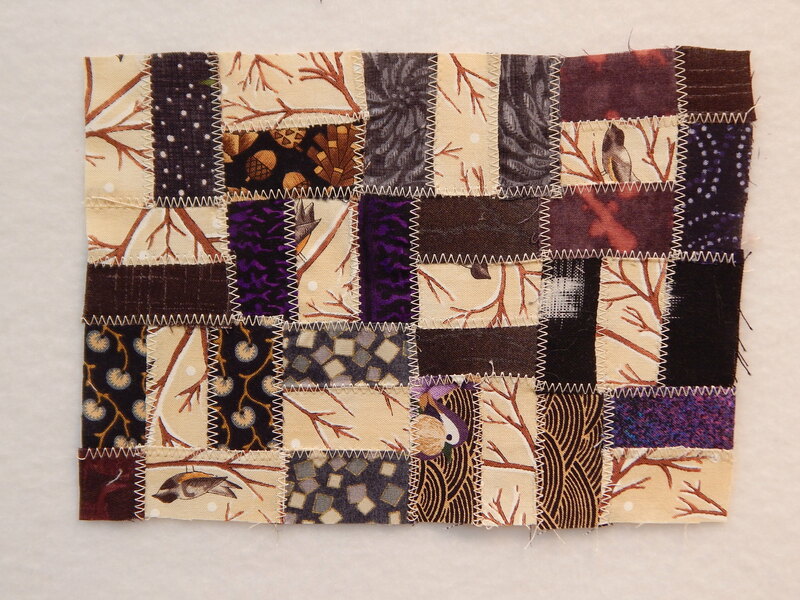 Several other projects are just waiting their turn, so I am sure next week will be another busy one in the studio. Just the way I like it! 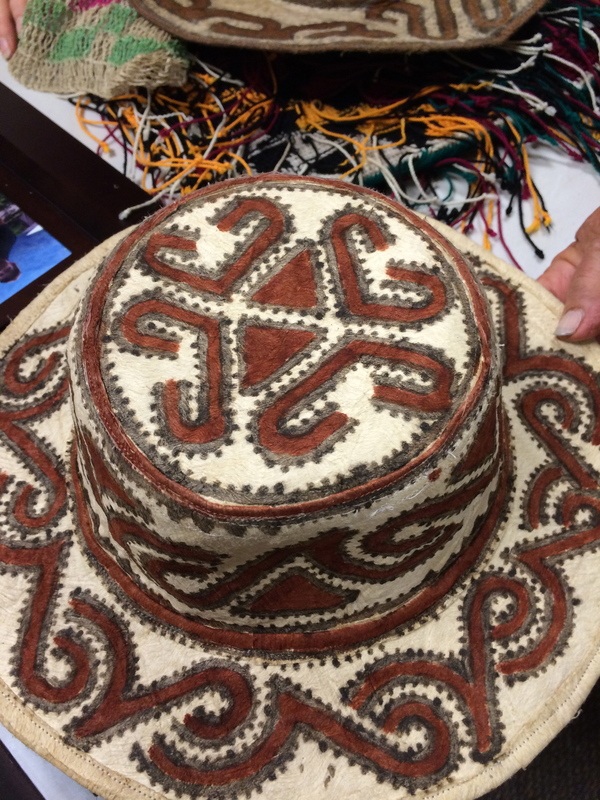 Recently some men from my church came back from a visit to Papua, New Guinea. The area they visit is quite primitive, and the people are extremely poor. And yet. 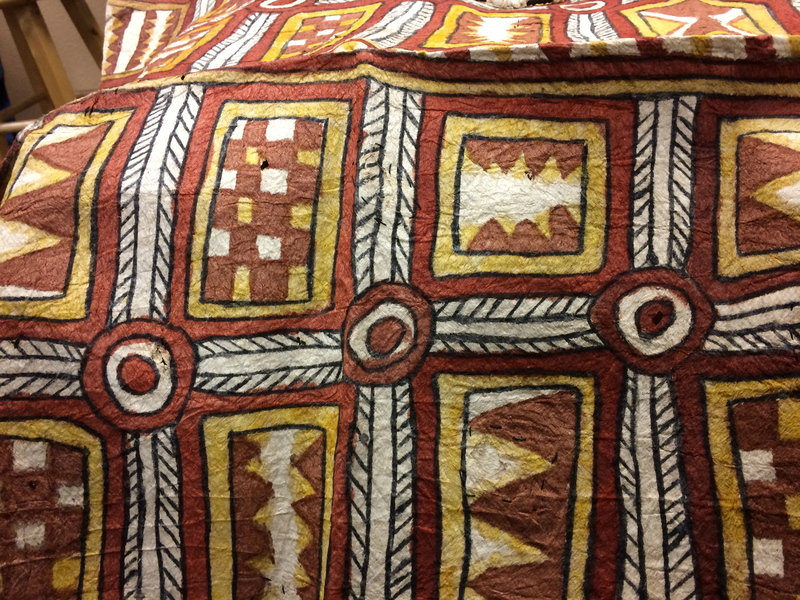 They can create these beautiful geometric designs on their handmade barkcloth. 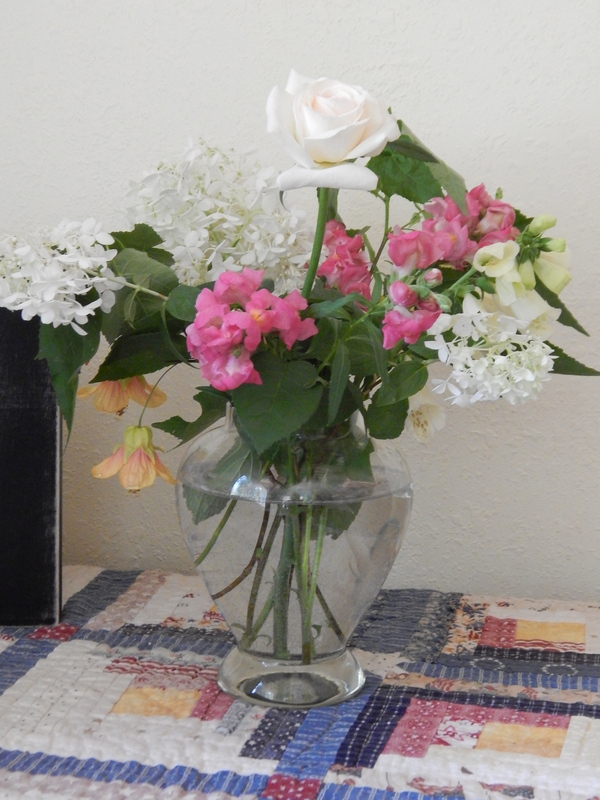 I am always inspired by people who can create beauty with just what little they have. 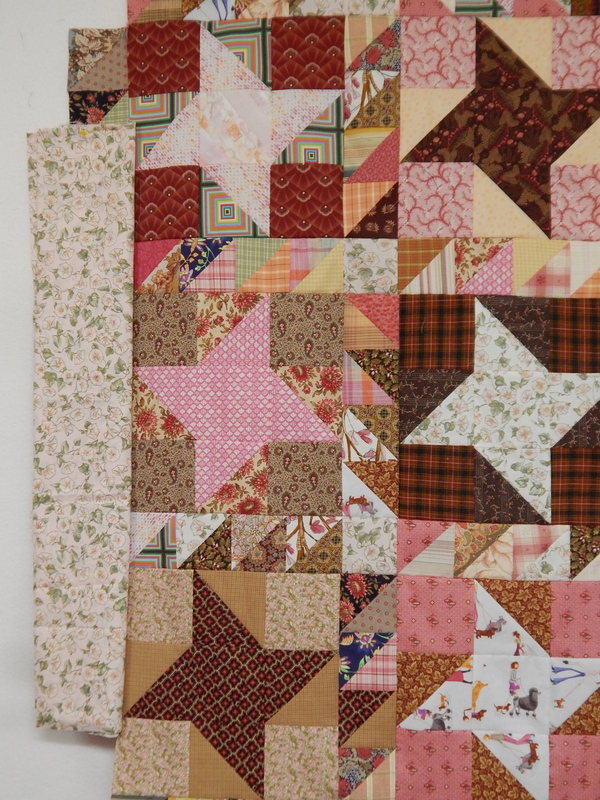 That is why I love kantha stitching and the Gees Bend quilters. This past weekend I took a quick trip to the Bay Area. The regional SAQA meeting was held at the house of Judith Content, and the topic was “What Inspires You?” Well, many times what inspires me is hearing about what inspires other artists. 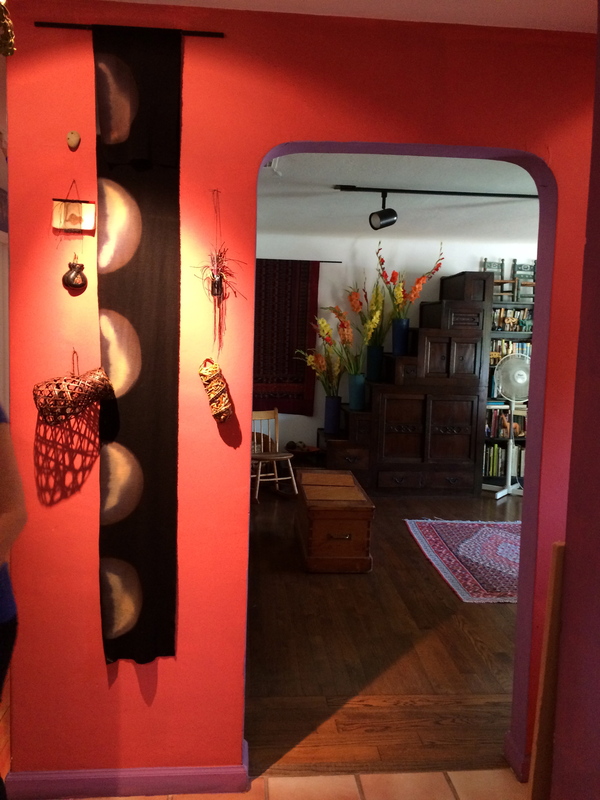 Judith has been a textile artist for many years, and her house was certainly an inspiration to me. It seemed that every wall was a different color and texture! So fun. Even her garden was artful. 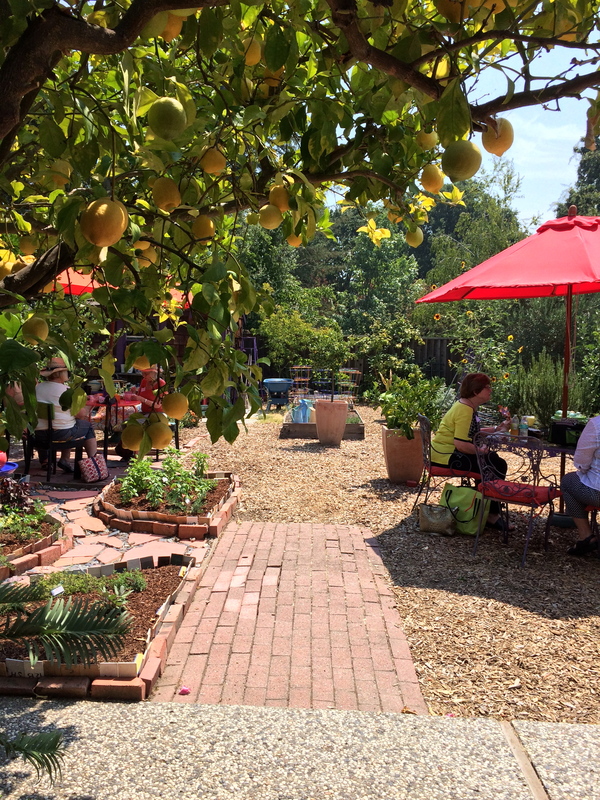 Imagine having that lovely huge lemon tree! 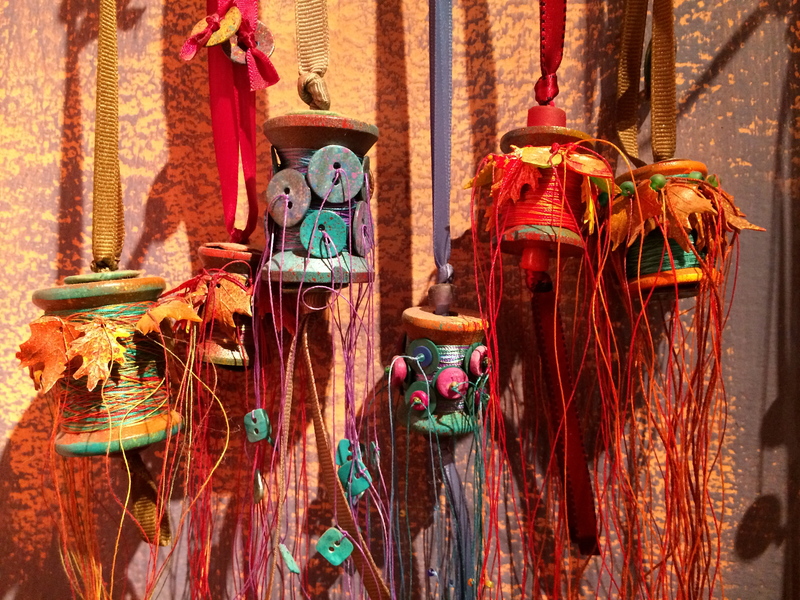 Oh, I especially LOVED these colorful decorated spools. Don’t you just want to make one right now?! Back in my hotel room, I had time to work on a new idea project, inspired by my Sunday morning journal doodling. I had drawn these three simple “cross” shapes. I am making them without ruler or measuring. What I noticed here, though, was that I liked the pale gold floor as a background, and also as a resting place for all that patterning. 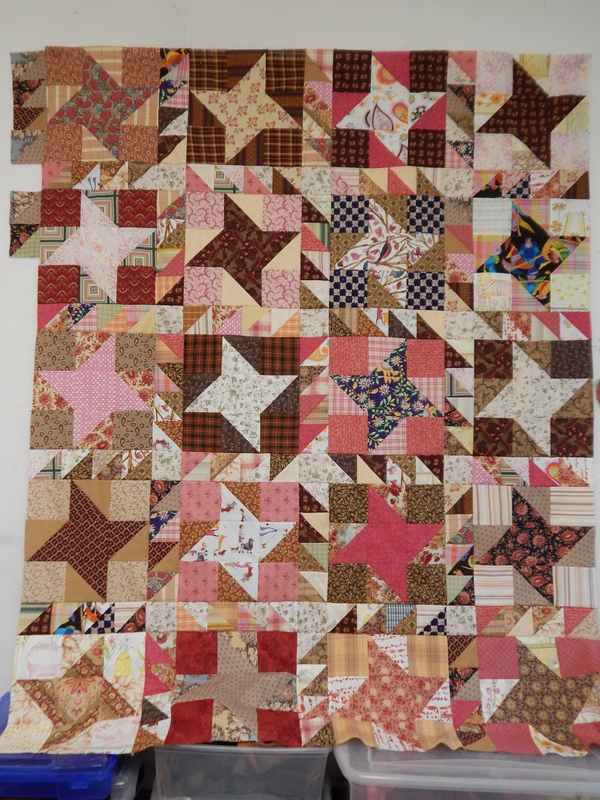 I think I will keep that in mind when I start trying to put all these different sized squares together. 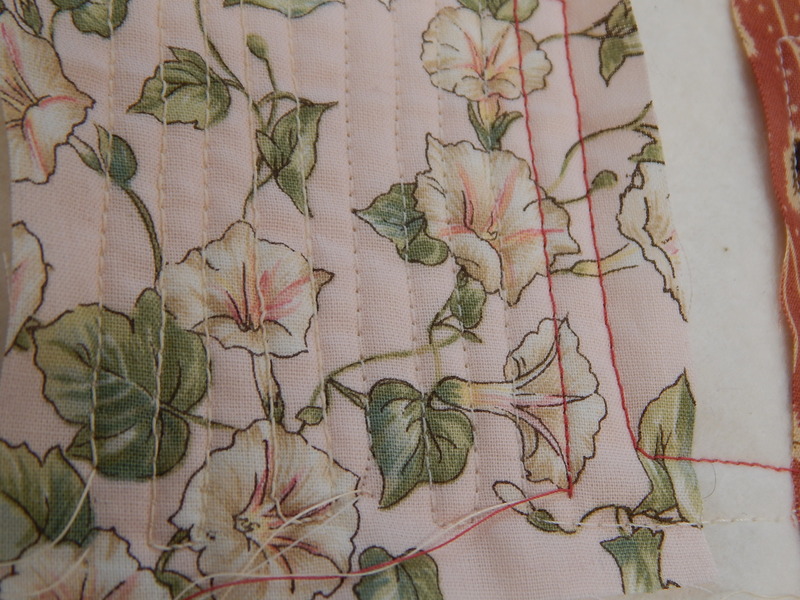 BTW, I’m using my packets of Cherrywood fabrics for these. I love their colors (not any that I would come up with on my own,) and the texture of their fabric. 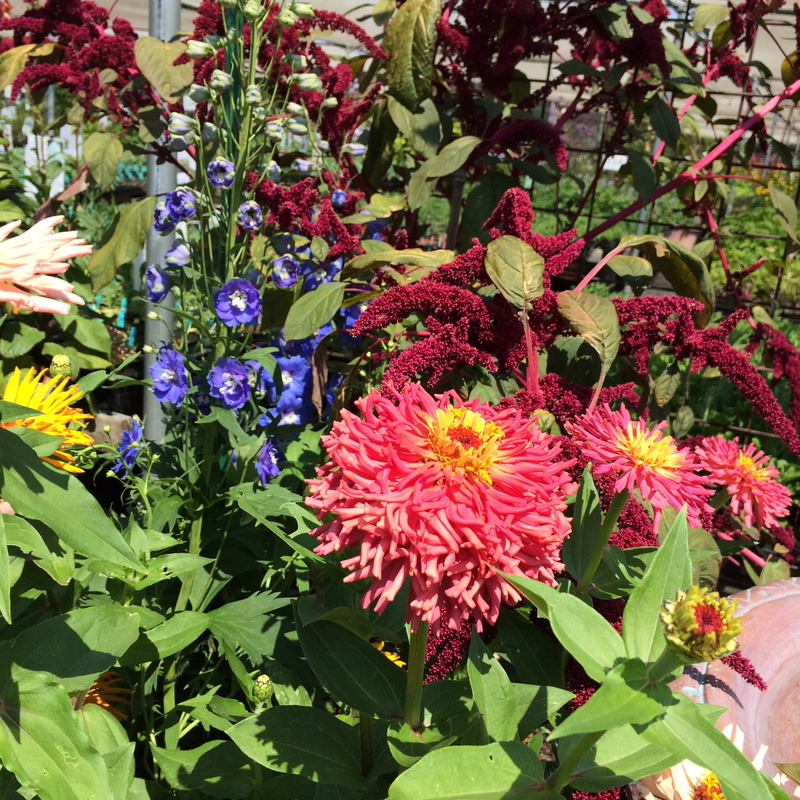 The next day I took my mom to a new-to-us nursery, Annie’s Annuals and Perennials. Oh. My. Goodness. 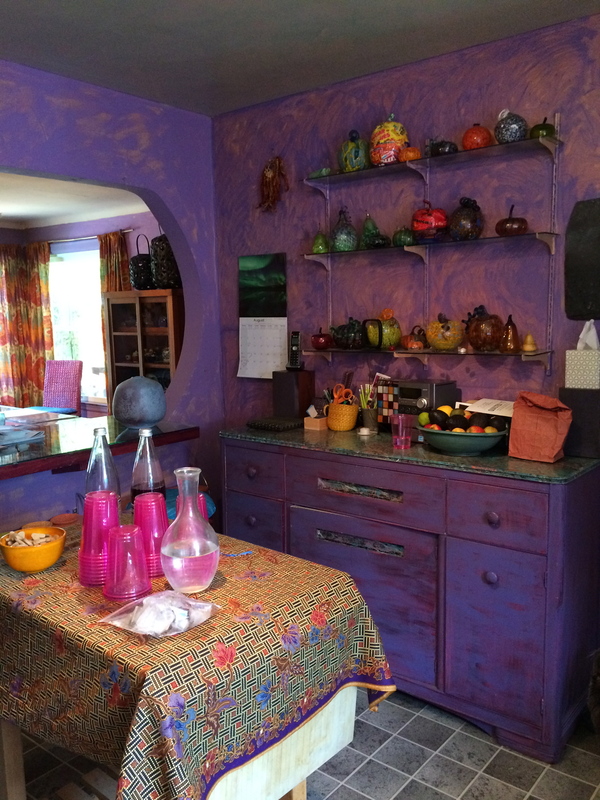 Color and inspiration everywhere. I wrote more about it on my other blog. Look around. There is inspiration everywhere. You just have to be looking for it. 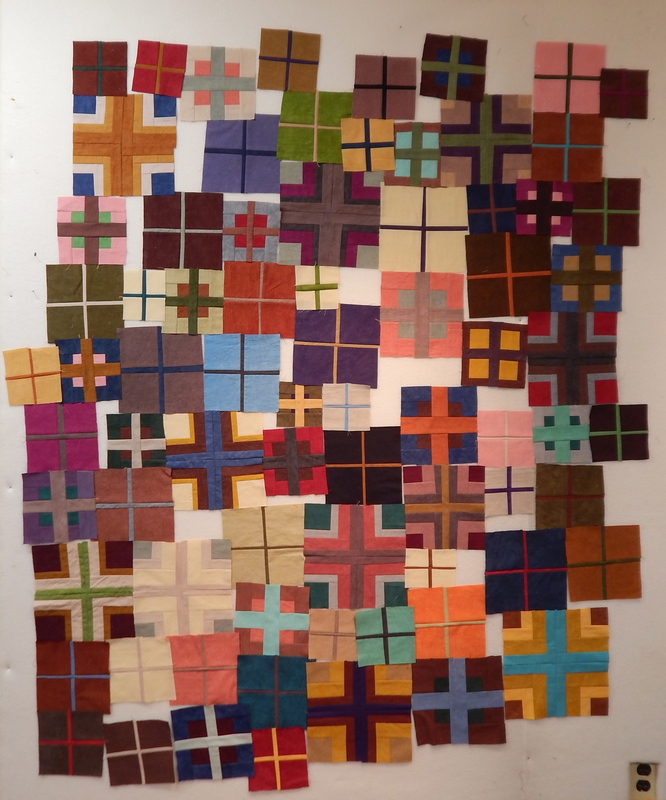 So one day last week I was looking through some quilting blogs, and someone somewhere mentioned this artist that “makes something out of nothing,” using paper and extensive zig zag stitching! In re-reading this article, I noticed this quote by the artist, Donna Rhae Marder. I find it comforting that others feel the same way I do about some aspects of creating art. Donna’s work just lit up my mind. I wasn’t interested in working with paper. But fabric? This was a new way of using the zig zag than I have done previously. The next morning I headed into the studio to experiment. 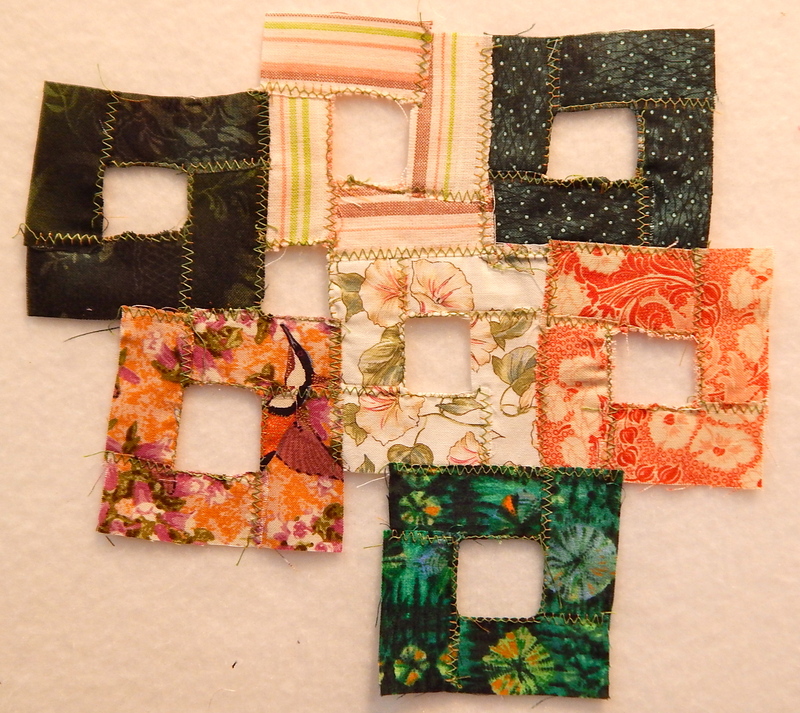 It just so happens I have a “few” fabric scraps pre-cut into two inch squares. These would be just perfect, I decided. I wanted to work small. 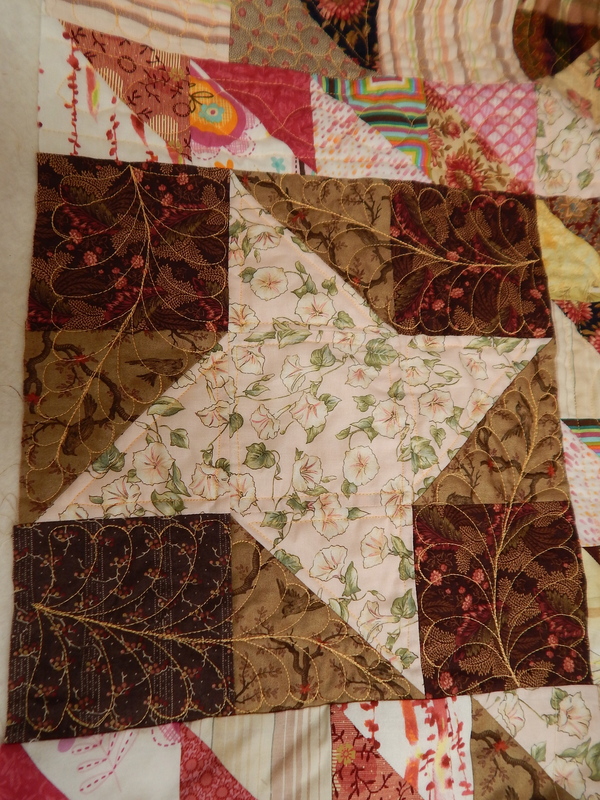 It was very fun sewing the pieces together with the zig zag stitch. Its not quick. But in my mind, there are so many possibilities for this. I am looking forward to exploring this technique more in the future.